I am yet to talk to a person who hasn’t had the Teenage Mutant Ninja Turtles as a part of their lives at some point or another. Capitalising on that, various publishers over the years have released a tonne of merchandise (including video games). No, really, the Turtles have had an incredible number of incredible (and not so incredible) games created for them over the years. The latest one, Activision and Platinum's Mutants in Manhattan, has landed, just in time for the latest Michael Bay travesty on the silver screen. Related reading: Matt's review of Transformers: Devastation, Platinum's spin on the Transformers IP. But on to the game. What we have ended up with in Mutants in Manhattan is a game that obviously had a deadline to meet, and that's usually a bad sign indeed. But, if any developer was going to be able to make a serviceable game and do justice to a license in a short amount of time, it was going to be Platinum Games. On the surface, it’s easy to dismiss the Ninja Turtles as a quick cash-in. But with games such as Transformers: Devastation and Bayonetta in mind, if you look deeper into the game, you can find a surprising amount of depth contained within. You see, on the surface, Mutants in Manhattan is a simple brawler, where the Ninja Turtles combine forces to destroy everything in their path in order to save New York City. It's a serviceable story that fits in with the film, but doesn’t do a lot to add to the overall game. It's simple enough that it can seem repetitive, too. But there is a combo system to learn, dozens of special moves to unlock for each turtle and a decent variety of levels to keep things fresh and interesting through its run time. Is it as strong as Platinum's previous licensed brawler, Transformers: Devastation? No, but it’s still a pretty neat game, especially for Ninja Turtle fans. As mentioned earlier, the deadline to release the game is rather obvious when you consider what has been omitted. The most notable being a lack of local co-op, which is something that people who grew up on the old Turtles arcade games would expect. Although this game wouldn't have been able to pull off single screen multiplayer, given the use of dynamic camera angles, split screen would have been a welcome touch. Then again, with the amount of activity happening on screen at once, it's also entirely possible that it would have been too busy for split screen to be pleasant on the eye, so I'll take Platinum's omission on face value there. There is online co-op included, although at the time of writing I have struggled to find some one to play with. I am not sure about how the servers are run, as friends from the United States have not had any troubles, but sitting here in Australia I'm stuck playing solo. 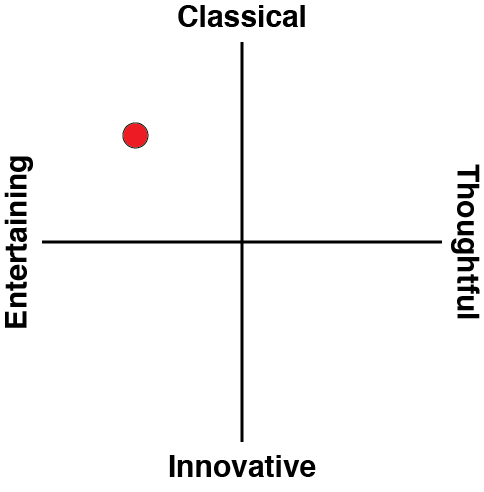 Otherwise, this game is technically proficient stuff. People will complain that the game isn’t running at 1080p and 60 frames a second and throw around other nonsense words like that, but in the end, and most importantly, the game runs smoothly for the action that it offers, the fast, stylish action of an arena-style brawler. 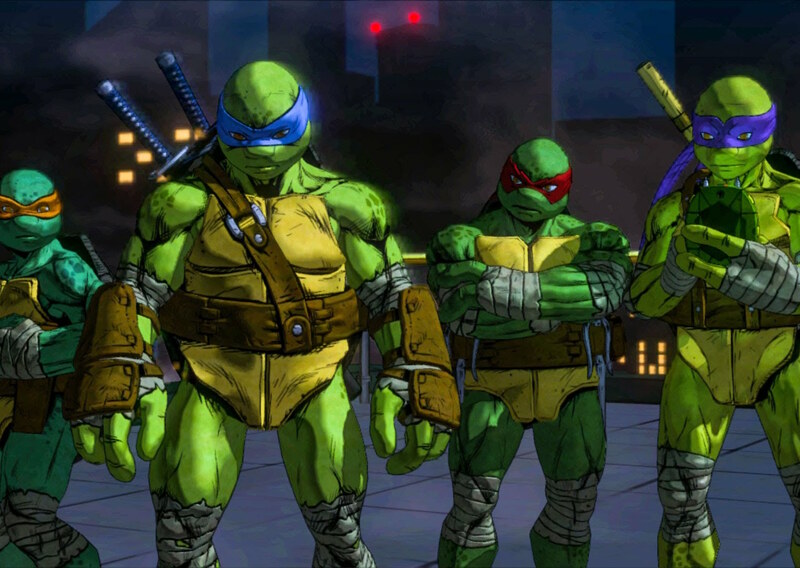 Platinum has done a really good job in capturing the cartoon vibe of the Turtles franchise too; the team over there is clearly a fan of classic western action cartoons, because the team has done a better job in getting the "vibe" of the franchise right than most efforts by western developers. The campaign is a relatively short experience (about five hours), but the game has been designed in a fashion that multiple play throughs are encouraged. 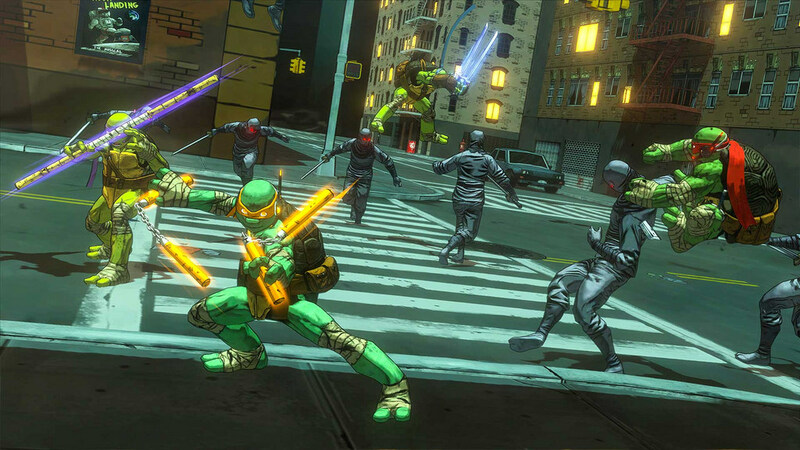 The more the Turtles battle, the more Battle Points they get, which can be spent on additional extra moves, of which there is an incredible variety, from throwing pizza everywhere to heal the other Turtles, to a disco dancing combo move done by multiple Turtles, and on to leaving a decoy behind to confuse the enemy. There are a huge amount of combos that can be unlocked and upgraded, making the Turtles more powerful over time, allowing them to be better prepared for higher difficulty levels (it gets hard, particularly the bosses in the higher difficulty settings). Each Turtle can be customised to the player’s preferences and can lead to some inventive combinations between Turtles. There is also the fact that you can swap which Turtle to fight with at any given moment in battle as well, mixing it up even further. 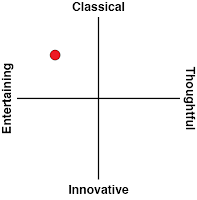 There is enough to keep someone occupied for quite some time, and it is sad to see that people are only judging the game on one play through, which ultimately would be like saying Street Fighter II is terrible because you only fight eight times and the game is over. More than anything, it feels great jumping into battle with the other Turtles joining the fray. The Turtles trash talk and communicate with each other mid-battle with amusing quips and jabs. Fans of the Ninja Turtles will appreciate the time taken to ensure that each Turtle has the right attitude and feel to them, it’s really not something that can be successfully phoned in. Related reading: Matt's review of Platinum's brilliant Bayonetta 2. What Platinum has been able to achieve while also ensuring the game makes it out in time for the movie is something other developers only dream that they can do. By licensed game standards Platinum has been able to use its "Bayonetta framework" to deliver a fine iteration of a classic franchise. What is unfortunate is that all it needed was some more time. Ultimately, all that's wrong with Mutants in Manhattan was that it couldn't meet Platinum's own stratospheric standards.